But I think the back is the best!! I hope you never have to sing the, "I Should Have Pre-washed," blues. 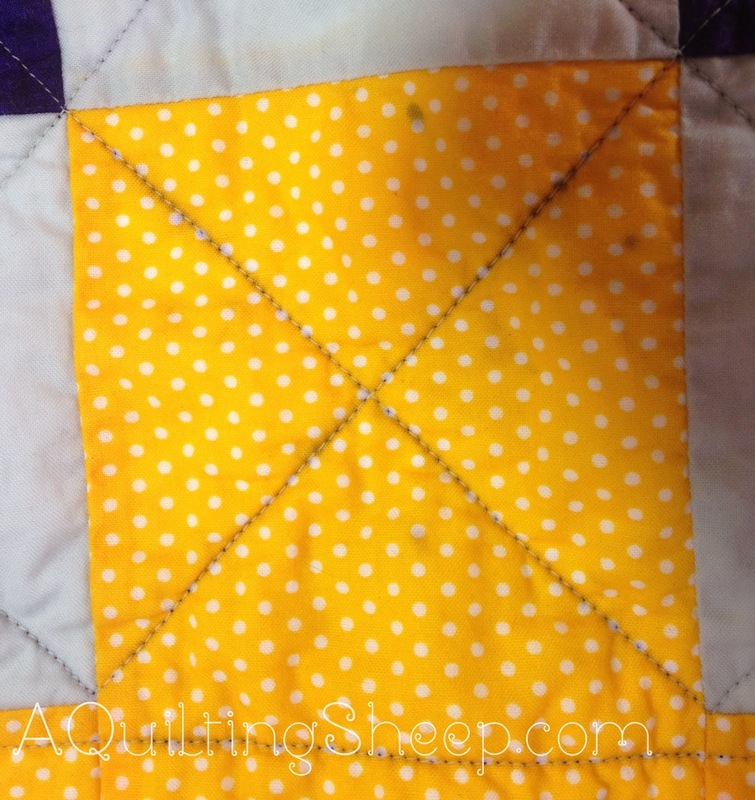 I always use Shout Color Catcher sheets when washing fabrics and finished quilts. I even gift a box of them to the new owner. 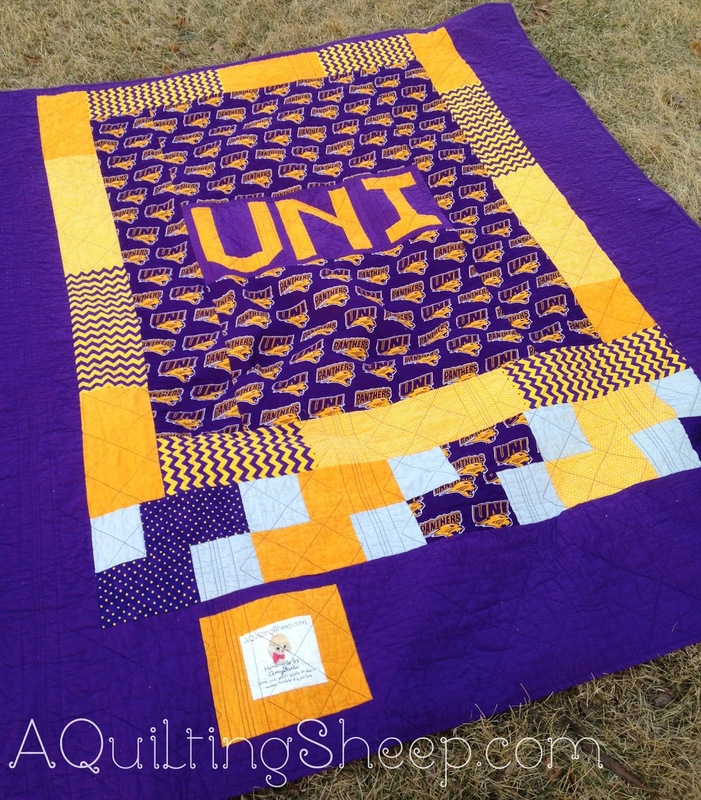 this is amazing...i still am loving the creative way you used the school colors to make it a more modern looking quilt. Do you use a colour catcher? I like those. Love the front and the back. for what she dose for bleeding. She uses a lot of intense color and dyes a lot of her own fabric. I never pre wash and have fortunately only ever had one mishap, I always use a colour catcher first wash though, do other people find this works as an alternative to pre washing? Oh this is just beautiful!! You did a wonderful job! Yes, I prewash every fabric (unless it is those small precuts) and add salt to the cold water if darker colors (especially red) because....it saves grief later on! I think it will eventually all wash out...but what a fun quilt! It turned out great! I try to pre-wash all my fabrics. We had a red quilt run, but every time I have washed it since then I have used the color catcher and it keeps the red away. It has run every time. Good news is that the area that bleed has washed way and been caught. The quilt turned out fabulous. I bet they would not even notice the bleed. What a bright, cheerful quilt. I am committed to prewashing after a disaster years ago. Color catchers are wonderful. I love, love, love your quilt! Both of my sons went to UNI. I'm sure they would love to have one like this. 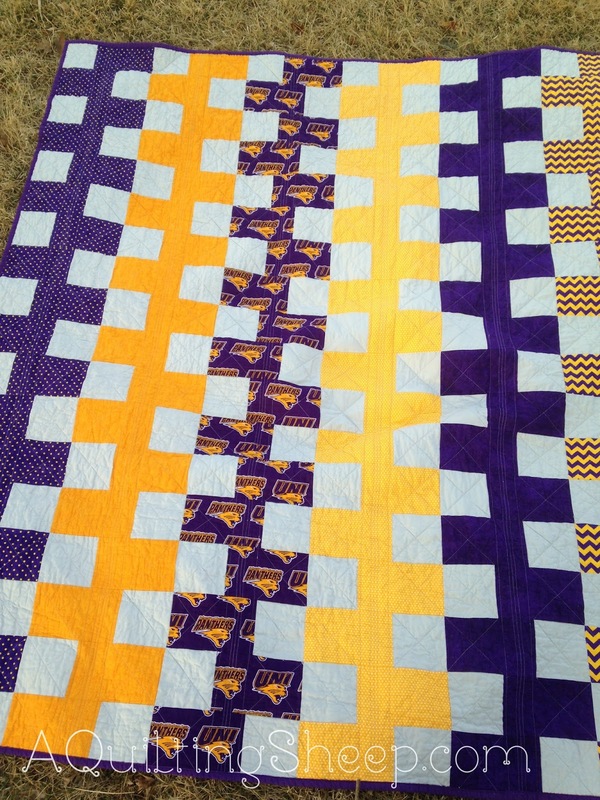 When one of the boys got married he and his wife asked for a purple and yellow/gold bear paw quilt. I used the same yellow/gold background and lots of different purples for the paws.